Minneapolis, MN (11/11/2008) - The Polaris RANGER RZR continues its winning ways, this time taking two of the three podium spots overall, at the first-annual Heartland Challenge UTV endurance race, in Carlisle, Iowa. 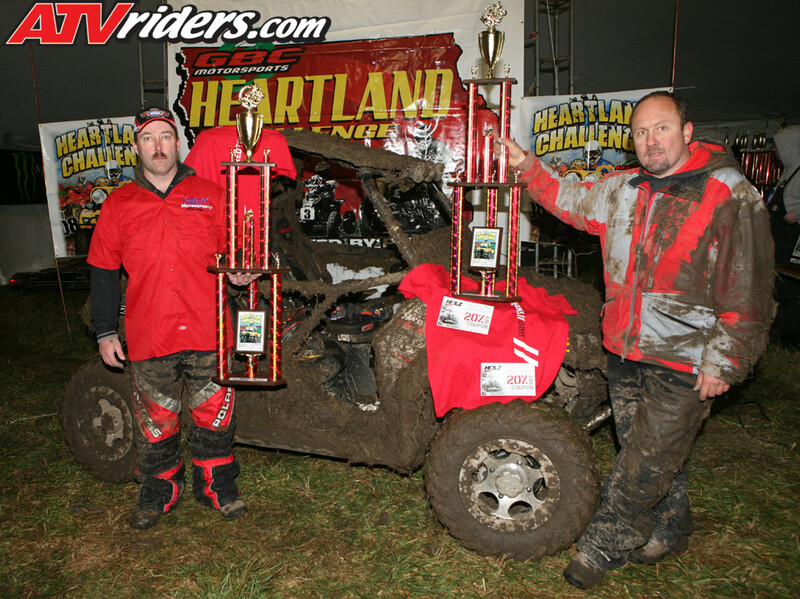 The three-hour UTV race, saw Polaris’ Region Sales Manager Matt Lube and Steve Muncur winning the 850cc stock class as well the Overall race in their Polaris RANGER RZR S. Second overall went to Karst Motorsport’s RANGER RZR. Third in 850cc stock class went to CST Racing, a local farmer and enthusiast, who purchased a RANGER RZR only six days prior to the race.